Tucked in the middle of a side street off of The Alameda in San Jose, the J.Lohr winery & tasting room is a well-kept secret even from long-term SJ residences. It doesn’t boast a fancy sign, the building itself is modest in size, and there’s nothing in the immediate area that suggests wine tasting is just around the corner. It may seem surprising that a name as big as J.Lohr would keep things quaint, but that’s the appeal as you walk up the steps and into the home-style tasting room. Sure, you’ll see a few shelves filled with J.Lohr swag in the room, but the bulk of it focuses on the wine tasting experience — a simple counter, a few high-boys, and a wealth of friendly staff waiting to serve and chat about wine. Wine-tasting at the SJ J.Lohr winery is complimentary and offers each guest 6 pours from their current releases. You’re provided with your own “menu” along with a pen to check off the wines you want to try, take notes, or just scribble on if you want. It truly is a casual experience, but simultaneously comforting in its local, hometown vibe. Never too crowded, the servers will give you one-on-one attention (if you want it) — happy to chat about the wine, the wine club, or just shoot the breeze about nothing in particular. Everyone I’ve talked to at J.Lohr seems to be there because they have an interest in the brand. 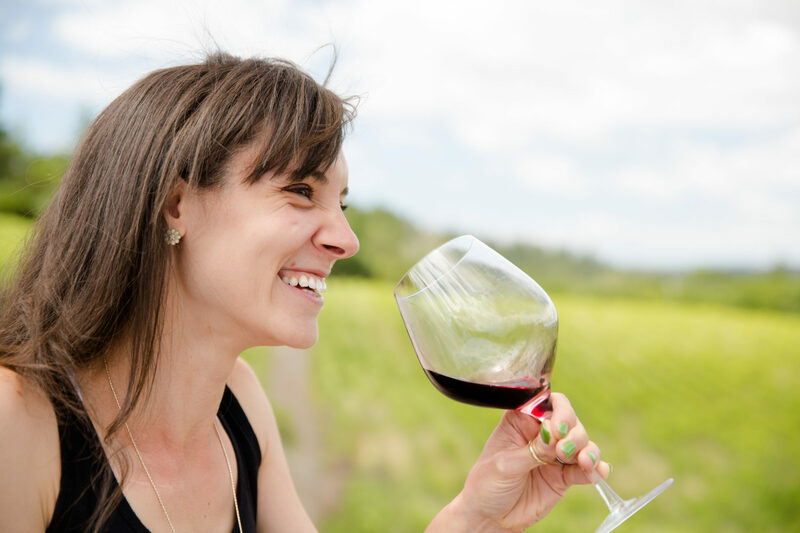 Though not all are necessarily “wine professionals,” the company makes sure that each employee goes through basic training about the wines, the winemaking process, and J.Lohr as a company, so are able to answer many basic questions you may have. And what about those wines on that wine list? Admittedly, I found a lot of bottles that can easily be found in stores (you can see some of my top store-bought picks here). And that may not be a bad thing if you want to sample something you can actually purchase whenever and wherever you want. But if you’re looking for something a little more interesting, be sure to sip anything labeled Gesture, J.Lohr’s more limited releases. Also, pay attention to the Vineyards Series. J.Lohr wines celebrate the best of Paso Robles, Monterey, and Napa Valley, so if you come across a vineyard name you’re not familiar with — go for it and taste the difference between various regional terroirs. WHAT TO TRY: If you’re a fan of Rhone-style wines, keep an eye out for the Gesture RVG (Roussanne, Vigonier, Grenache Blanc) out of Paso Robles. A good white blend is hard to find in this new wine world, but this one does the trick: beautiful subtle fruits at the front of the palate, moving forward into just a hint of oaked softness on the mid-palate, with a tight and tangy finish that will leave you salivating for your next sip. More of a red fan? Carol’s Vineyard Cabernet Sauvignon is full-bodied, yet keeps the textures soft and plush with flavors from the beginning to mid-palate that sing of fresh, plump berries. The tannins kick in only at the end, for a solidly enjoyable, “true Cab” finish. INSIDE INFO: The SJ J.Lohr winery has a whole series of events you can sign up for, even if you’re not a club member, including food and wine pairing classes, “Wine and Cheese Friday,” and horizontal wine tastings. All of events are listed at the winery and online, and you can sign up either way. For more information about J.Lohr, their different locations, events, and (of course) their wines, please do visit the J.Lohr website.